Excited for your escape game but need that extra boost of energy to give you a winning start? 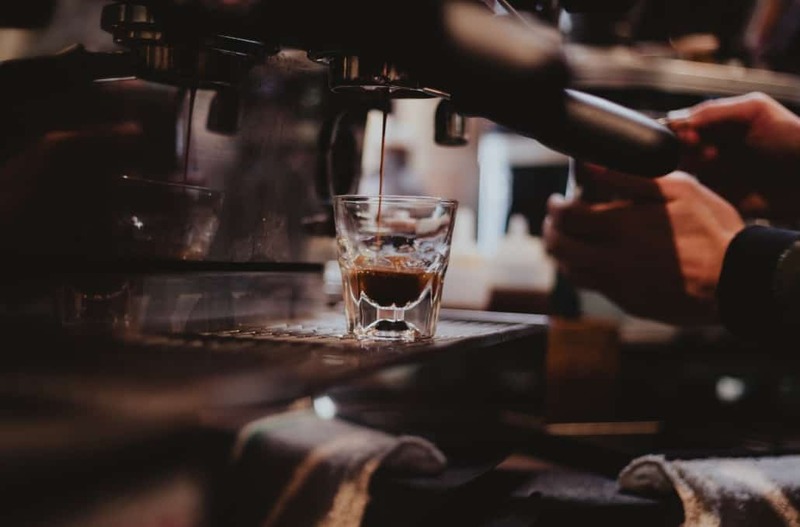 Well, luckily the neighborhood around Trapology has you covered with a plethora of places to get a great cup of coffee and snag a quick bite while you’re at it! Just a few doors down from Trapology Boston sits Explorateur, a new, hip coffee shop offering more than just a delectable cup of java. There, you can enjoy offerings from a European Cafe, a fine dining restaurant, and a bar all at the same location. Right up the street towards Park Street station, Thinking Cup is a cozy coffee and food shop. Included amid their selection you’ll find Stumptown coffee and delicious grilled cheeses. What’s more, they make a mean chai tea latte. Tried and true, Cafe Nero won’t let you down. Located right in Downtown Crossing, you’ll be right in the action – and in close proximity to lots of awesome clothing shops. Don’t let “wine bar” fool you. While this place is a nice quiet spot for a glass of only the finest squeezed grapes – it’s also perfect for relaxing with a nice warm cup of coffee. Located right down the street in the theater district, they have a great assortment of coffee drinks and sandwiches. Located in the Godfrey Hotel Boston, this comfy spot might strike your fancy. Here they have yummy salted caramel doughnuts, a delicious London Fog (Earl Grey Latte), and a wonderful cup of joe, as well as an incredibly knowledgeable staff. Their platters are made of wood! Who doesn’t love that? Incidentally, this place is halfway between us and the waterfront, and we have only heard good things about it! The Gracenote staff eats, sleeps, and breathes coffee. In short, they really care about their craft. Respect. An adorable hole-in-the-wall coffee shop that supports local charities such as Haley House by selling their delicious baked goods. On top of all that, if you go on a “workout Wednesday” you can get a free coffee if you do 10 pushups and 15 crunches! A warm comfortable coffee shop that is great for meeting with friends or getting some work done. They enjoy having their own house-roasted brew and in-house pastries. Really, what more can you ask for? Stop by here for a tasty treat! A coffee shop on Milk Street. Does that make you as happy as it makes me? This place’s interior is interesting as well as relaxing and they have a delicious matcha latte and heavenly desserts to boot! Located right by South Station, La Colombe is the perfect place to stop for a great espresso and fast wifi! This place is right up Tremont Street next to the 7/11. Personally, I’m partial to their Mocha Lattes. Flour is a great experience. In addition to their great coffee selection, they also have lots of different house-made sodas. Plus they have AMAZING sticky buns. Seriously. Amazing. A strong brew for a great price as well as lots of dietary accommodation. This place has an awesome vegan selection on their menu and people swear by their scones! There you have it – all the delicious rocket fuel you could ever need within an easy 15-minute walk of Trapology Boston! So grab a cup of Joe, book one (or more) of our five immersive escape rooms, and come on by! We can’t wait to see you at 177 Tremont Street soon. P.S. If you wanted to bring in a box-o-joe to share with the staff…we’d probably be okay with that.